The H2S2 Game Of The Week features the inaugural “Fight For Foster Ave”. It’s a Chicago Public League Football Inter City-1 conference matchup between the Amundsen Vikings and the Von Steuben Panthers. Listen to the full recap of the game, with interviews from Coaches and Players. 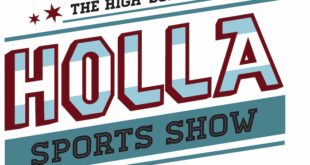 Listen to another weekly edition of “The H2S2 Football Preview”. We talk with first year Head Coach Alonzo “Zo” Harris who shares his football philosophy on how he plans to build a first year varsity football program at Chicago’s International Charter School, The Chicago-Quest Warriors into contenders and winners. Listen to our special football summer edition featuring Coach Andrew Frierson of the Frederick Douglass Tigers. 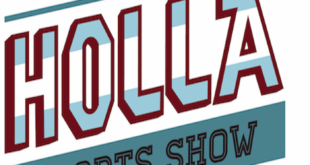 The “High School Holla Sports Show” visits with Von Steuben Head Football Coach Alan Rood to talk about his promising seniors building a tradition within the Panther’s Football program. This week’s “H2S2 High School Football Preview” features Amundsen High School Head Football Coach Nick Olson talking about the Viking’s upcoming 2017 Football Season. Listen to Head Football Coach Matt Erlenbaugh of the Solorio Sun Warrior talk about the upcoming season.